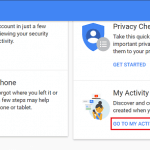 You are here: Home / Delete Email Accounts / How to Delete an email on any Web-Mail? 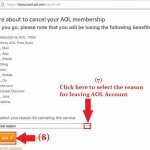 How to Delete an email on any Web-Mail? One of the bad habits of every one of us is that we don?t delete an email. We keep emails as if that is a treasure. It does nothing more than making email inbox more cluttered. You should delete all less important emails to make inbox look more organized, fast and less clumsy. 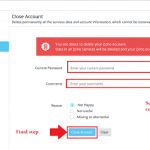 We are here to tell you about how to delete email from various email service provider. Gmail has provided different filtering tools to remove an email. You can delete all emails fro a particular sender, of a particular subject, etc. Go to the inbox of your Gmail account. Click on the small empty rectangle on the top left a corner of the page just above the primary tab. Up to 50 conversations on this page will be selected, click ‘Select all options’ to mark all conversations on the primary email tab. Click on the delete icon (Bin) in the same row of select all option. All the emails will be moved from “Inbox” to “Trash”. The emails in the trash will be automatically deleted permanently in 30 days. If you want to remove them immediately, you can go to trash folder that lies in the column where inbox exists under “More Label” option and click on “Empty Trash now” option. Or chose all emails and click ‘delete forever’ option. You might be wondering if you can delete all email from a particular sender. Yes, you can do it in Gmail. 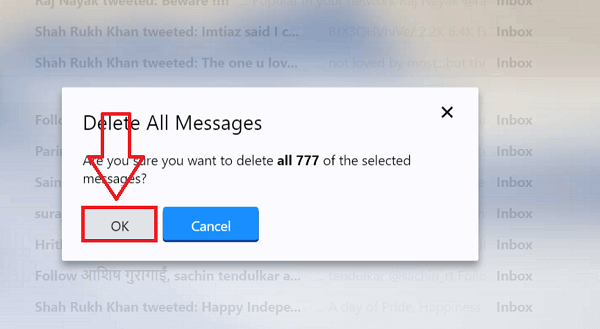 Find an email from the sender whose messages you want to remove. Drag your mouse to the sender name in an email sent by him/her. Do not click or tick an email, hover mouse cursor on the email sender This will bring a pop-up window as shown in the picture below. In the window click on emails. You will see all the emails from that contact. 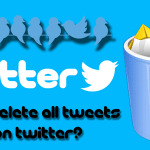 Follow the guidelines to delete all emails as per the instruction provided in step 1. 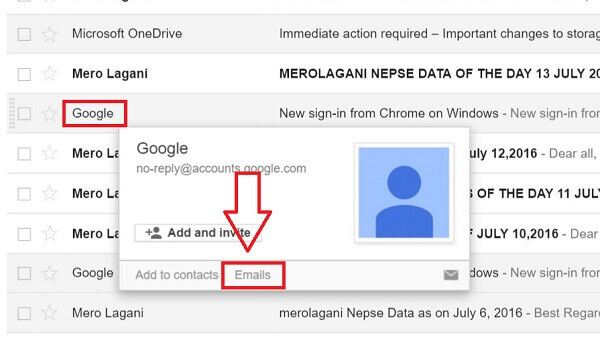 Go to the inbox of your Gmail email account. In the search box type “is: unread” and hit enter. You will see all the unread emails in your inbox. Follow the guidelines to delete all the emails as per the instruction provided in step 1 above. Go to the inbox of Yahoo account. Select the particular email you want to delete by clicking on the small square box in front of each email. If you want to remove all email at once, click on the square that lies to the left of archive icon. Click on Delete icon.? 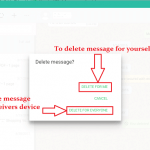 You will be asked to confirm if you want to delete the messages. Click on “ok” and all the emails you intend to delete will be eliminated. The emails you have deleted will be moved to trash. It will be stored there for a few days before being permanently deleted. If you want to delete them immediately you can go to trash, select the emails you want to remove and click on delete.